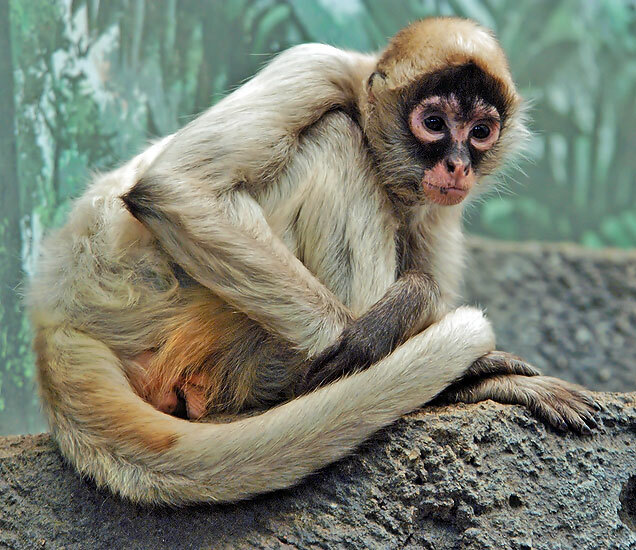 Spider monkeys use their long tails like a fifth limb. About 75% of a spider monkeys diet is fruit. Spider monkeys do not have thumbs. Infants are born black, usually changing color during their first five months.